With its music industry origins and a serious commitment to nurturing startups, it’s fair to say that Memphis has the edge for innovators and entrepreneurs. Memphis isn’t just the resting place of Elvis Presley, it’s one of the top 10 cities to begin a startup, according to CNN Money and WalletHub. Features like accessibility to financing, office space affordability, employee availability and median annual income make it so. Memphis is home to the country’s first grocery store chain, Piggly Wiggly, and it’s the headquarters for several Fortune 500 companies, including Holiday Inn, AutoZone, and International Paper. 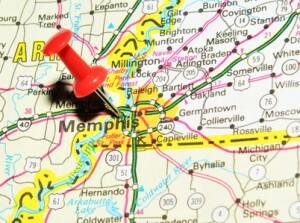 It’s no mistake that FedEx is based in Memphis, too. A business hub with runway, river, road and rail all within 20 miles of the Memphis International Airport, the city is becoming known as “America’s Aerotropolis” and a global logistics center. Memphis serves those logistical needs with the largest percentage of workers in transportation, warehousing and utilities of the country’s biggest cities. While the city’s supply of angel investors and venture capital isn’t huge, that’s more than compensated for by community banks and the city’s commitment to business initiatives. Memphis has the Edge – literally. The acronym, which stands for the Economic Development Growth Engine, is a city-based program that connects start-ups with marketing, financing programs, and procurement opportunities. It also helps small businesses launch new products and increase profitability. Entrepreneurs in Memphis can also get training, counseling, business data and connections to financial resources and special loan programs through the city’s Renaissance Business Center. That includes minority and women-owned businesses, whose owners often find it difficult to qualify for business loans. To develop work talent and attract high-wage companies, the city developed the Greater Memphis Alliance for a Competitive Workforce, an effort that links college courses and skills training programs directly to workforce needs. For entrepreneurs focused on business expenses, Memphis’ makes it comfortable with a cost of living that’s 14 percent below the national average. It’s also a great place to live. Memphis’ commitment to a healthy environment, a strong economy, and continually improving the well-being of the community earned it a 4-STAR Community Rating for national excellence in sustainability. With great musical talents like Otis Redding, Isaac Hayes, and Al Green, its cultural heritage is hard to beat. The business community is parlaying that heritage into an economic development effort with the Consortium MMT, an academy that’s nurturing new stars by connecting them to local booking agents, tour support advice, business planning, music and graphic design software, and business contract training. No matter where your company is located, you can make it seem more approachable by selecting a local phone number. With Halloo you can route calls to your employees anywhere. Get your local Memphis phone number today!